How do you Know Which Blog Host is Best for You? Blogging is a modern art form and when it’s done properly, it can be a very effective way to boost your income. Whether you are starting a blog for personal reasons or business reasons, you need the right blog hosting company for your needs. The best blog hosting is one that will provide just what you need to get the most out of your blog. If the blog host cannot give you the tools and resources to keep your blog running smoothly, they are not worth your time. Here are a few things to consider when searching for the best blog hosting company for your specific needs. You don’t need to search for a hosting company offering WordPress if you plan to use it for your blog. Nearly every hosting company offering shared, VPS or dedicated hosting will give you WordPress as a part of your package. It may be necessary to verify you are getting WordPress, but you don’t need a WordPress-specific hosting company. If you define cheap hosting as the absolute best deal you can find, you must consider what you are getting for your dollars. Is it really a better deal to save $12 to $24 a year, but receive a lower quality hosting company for your blog? Cheap blog hosting can be a horrible mistake, if you choose a hosting company offering packages under $3 per month. Even if they make you buy three years to get that price, you may find yourself without the support and serve you need in a hurry. 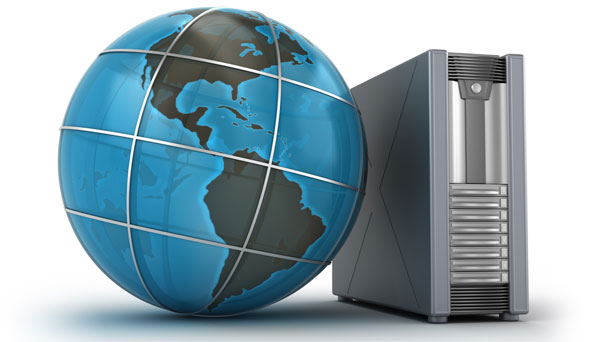 Many of the cheapest blog hosting options overload their servers, as well. This means, if somebody else on the server sees a spike in traffic, your blog will load slower or they may crash the server. If you prefer slower load times and plenty of downtime over spending a few dollars more every month for hosting, choose a cheap blog hosting company. Even though it can be dangerous to choose the cheapest blog hosting you can find, it’s also not necessary to spend a fortune. Most bloggers, especially beginners, don’t need more than a small shared hosting account. This type of account usually ranges from about $5 to $10 per month from a good hosting company. Unless you have a very good reason for buying a shared hosting package that costs more than about $15 per month, you don’t need to. Usually the more expensive shared hosting accounts will allow you to host unlimited domain names and may give you a dedicated IP. This may not be necessary for you and you should only spend the extra money if you need these features. Remember, you can always upgrade, if necessary. Imagine signing up with a new blog hosting company. You are all excited because you got in on their $0.99 per month special deal for the next year. You paid less than $12 for hosting for an entire year and you are ready to start your blog. WordPress is installed, the design is complete and you start writing content. Next thing you know, you cannot get any work done because your site is down. You contact support and it takes forever to get an answer. Finally, they get things working, but a week later you have to repeat the ridiculous process. Spending a few extra dollars on a blog hosting company with the ability to provide great service and support is worth it. When a hosting company provides excellent service and support, it usually means they also have very reliable servers, which they have not overloaded with shared hosting accounts. Companies with slow support and poor service are always dealing with problems because the servers simply are not reliable. Spend the extra dollars, if you want to be successful with your new blog. When you start your search for a new blog hosting company, keep these things in mind. There are plenty of great choices out there, but you will want to avoid the cheapest blog hosting options.